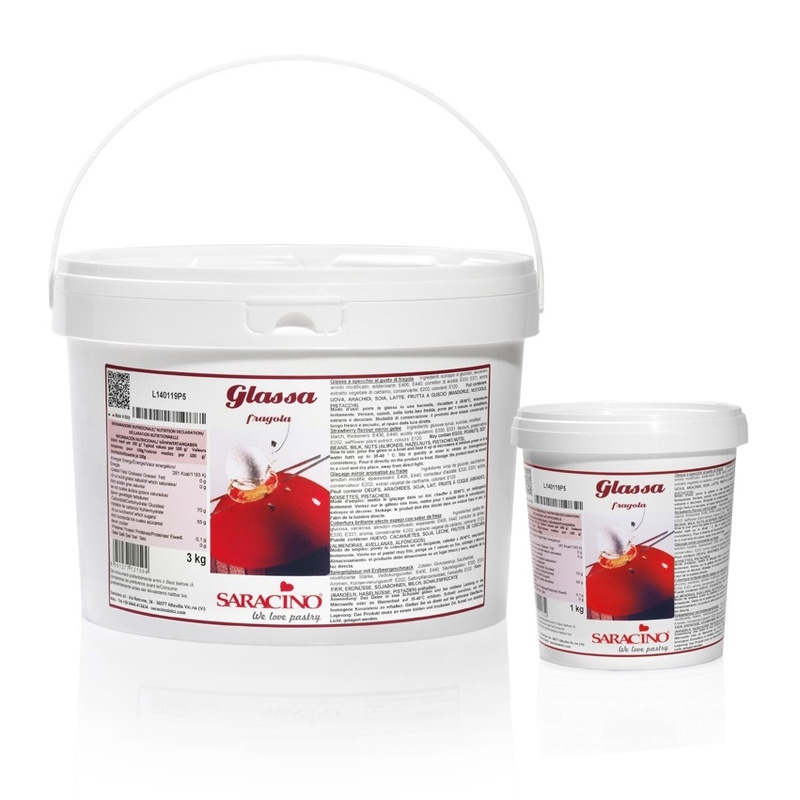 Produce a shiny mirror like glaze effect on your creations. 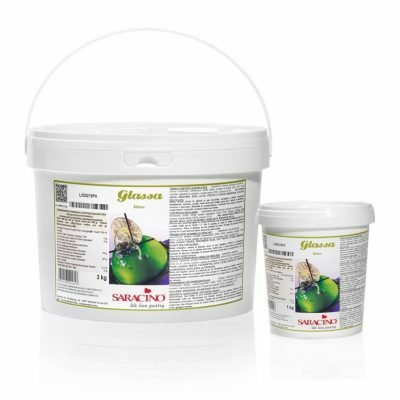 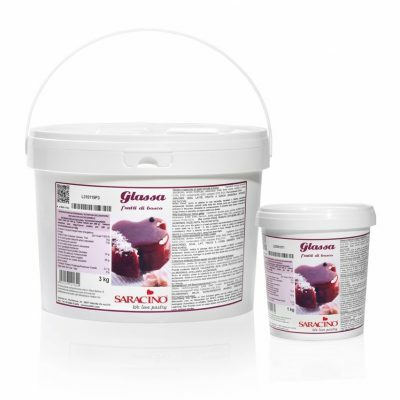 Ideal for use on cakes, ice creams, pastries, creams, mousses and frozen desserts. 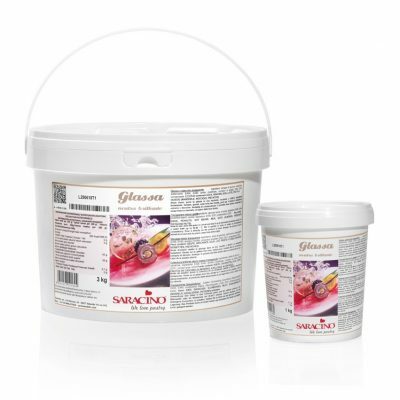 Ingredients: Glucose syrup, sucrose, modified starch, thickeners: agar agar (E406), pectin (E440); acidity regulators: citric acid (E330), sodium citrate (E331); flavor, preservative: potassium sorbate (E202); safflower extract, colours: cochineal (E120).